The Microsoft Azure cloud-computing platform could serve as a major accelerant to key trends already reshaping the Microsoft channel: the rise of ISVs and trusted advisors and the narrowing field of opportunity for partners whose business models rely on reselling and margins. 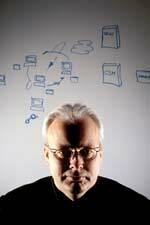 Ray Ozzie, Microsoft's chief software architect, introduced Windows Azure and the Azure Services Platform at the Microsoft Professional Developers Conference 2008 (PDC) in late October. The cloud-computing platforms are much broader than Microsoft's previous one-off releases of online-subscription products. Ozzie described the Windows Azure piece as a "significant extension" to the family of Windows computing platforms. "You can think of Windows Azure as a new service-based operating environment specifically targeted for this new cloud design point," he said. In short, it's an OS developers can target to access a chunk of whatever they need from one of the world's biggest servers ever-those massive data centers Microsoft has been building across the United States. "Whether your app needs a fraction of a server or many servers, Windows Azure will scale appropriately," Amitabh Srivastava, Microsoft's corporate vice president of Cloud Infrastructure Services, said during a PDC keynote. All indications are that Microsoft will follow the pricing model already established by Amazon Web Services, which has been renting bits and pieces of its data center infrastructure since August 2006. In October, Amazon.com Inc. started renting access to Windows servers in the cloud for $0.125 per compute hour. That means costs to test a new application are virtually nil-and those costs only rise dramatically if an application is successful. Microsoft is also planning an Azure Services Platform, which includes SQL Services, .NET Services, Live Services, Dynamics CRM and SharePoint Services. Microsoft Chief Software Architect Ray Ozzie describes Windows Azure as a "significant extension" to the Windows family. Partners will have to accommodate the new addition. Amazon and Google Inc. have cloud-computing services available now, while Microsoft's Azure is basically in preview form. But Reed Overfelt, chief operating officer at Mural Ventures, a Reston, Va.-based Registered Member specializing in helping companies make the jump to Software as a Service (SaaS), says Microsoft is still the 800-pound gorilla in the space. "The stuff by Microsoft is way more interesting, and CIOs care a lot more about what Microsoft is doing than what the others are doing," Overfelt says. If the Azure platform is a market success, some partner business models could get a boost, but others may shrivel. Among partner categories, Overfelt thinks Azure favors one in particular. "The clear winners are the smart-application development partners," Overfelt says. "This is a watershed moment and a massive opportunity. It really changes the economics." ISVs' biggest start-up costs are personnel, hardware expenses and software expenses. With application-programming interfaces in the cloud, ISVs won't have to buy much of the software and can forego nearly all of the hardware. Plus, companies considering a SaaS model would no longer need to worry about data center expenses, or even about finding a partner to handle the data center. "You can go to market and be profitable by your second or third customer," Overfelt says. Microsoft is focused on helping ISVs make that transition. At PDC, Srivastava enthused: "We've built a platform to allow you to build your killer apps." One ISV already building a prototype of its supply-chain and store-operations management app is Waukesha, Wis.-based RedPrairie Corp. Shawn Davison, a vice president at RedPrairie, demonstrated his company's application at PDC. Davison said technical features of the .NET Services overlaid on Azure are making a big difference-especially with the way the Azure Services Platform handles user identities and represents workflow. In addition, partners that develop custom software for customers on a deal-by-deal basis could realize some of the same benefits as ISVs, including less capital outlay up front on development and testing hardware and software. In addition to the internal efficiencies, overall solutions for customers can come in at a lower price-absent the up-front hardware and software purchases in addition to the partner's work-making quotes much more competitive. Dave Sobel, CEO of Evolve Technologies LLC, a Gold Certified Partner and consulting firm based in Fairfax, Va., will let his ISVs lead, but he's watching Azure with great interest. "I'm looking to my line-of-business application vendors and saying, 'OK, can you do that stuff in the cloud?'" Sobel says. But he's anticipating that those vendors will do so. "If you're a network-solution provider like Evolve, you've got to move one step up the stack," he says. He's already refining his SMB-focused pitch. "Find me a business owner that wants to own a server," Sobel says. He plans to tell SMB owners: "'Don't worry about whether equipment is on-premise or not. I'll take care of that. You just want e-mail, so buy e-mail from me.' People that move up the stack that way, we're going to be fine," Sobel says. Partners that take an approach of strategic advising will do better than fine, Overfelt predicts. "The strategy services part is important because you can charge a lot more," he says. While Overfelt expects the suffering economy to push more midsize customers into considering a hosted approach, he sees a big play for partners that act as trusted advisors to the enterprise as well. Using the example of pointing customers to storage services in the cloud through Amazon now, or Microsoft later, Overfelt says partners can be asking customers why they're paying for storage hardware. "Point them at the cloud, save them a couple million dollars and then you say, 'Do you love me?'" he explains. All those consulting and trusted advisor roles are available to systems integrators (SIs), but SIs have another ace in the hole. They can use the Azure platform to stitch together Microsoft's packaged Online Services-Exchange, SharePoint, Dynamics CRM and Office Communications Server-with on-premise systems to create full solutions. At PDC, Dave Thompson, corporate VP of Microsoft Online, told developers, "If you use Windows Azure components in your business applications, you can leverage what we've built, just like we do for online, and you can extend our services in the same way you extend our servers." Connecting the dots for systems integrators, Thompson said: "The customer and the partners need to work together to make the choice that's best for that business." A few examples from Thompson's remarks pointed the way to opportunities for SIs to build integration expertise, although all the pieces may not be available in the first release of the Azure platform. One opportunity involved tailoring Exchange Web Services to handle meeting requests and build incoming e-mails into workflows. Another was putting custom workflow code into SharePoint services. A third possibility for workflow integration dealt with Microsoft Dynamics CRM Online. "With online, it's even faster because you don't have to deploy servers," Thompson said. Moves to cloud computing put the most pressure on any business model that relies on server and storage hardware, software and services on-premise. However, that doesn't mean that part of the business will disappear, according to Sobel. "We're not going to stop on-premise implementations. Anybody who's saying on-premise is going away is wrong," Sobel says. "But anybody who says [cloud computing] doesn't cannibalize on-premise is crazy." While the business of installing servers and storage isn't going away anytime soon, a shrinking market means fewer partners could be necessary to get the remaining jobs done. The most prominent category of straight resellers is Large Account Resellers. Microsoft is pushing LARs to get more heavily into other services, as Directions on Microsoft analyst Paul DeGroot reported in his column last month (see "Putting the Squeeze on LARs," December 2008). There's some resistance from LARs to the services, for which Microsoft wouldn't reimburse them. Still, the expansion may offer a way for resellers to prepare for cloud-computing changes. LARs would presumably have fewer server software licenses to resell if the model takes off, and would need to find ways to make up for margin revenue shortfall. Higher up the chain, Microsoft alliance partners in the server and storage world are taking a hard look at what all these data centers from Microsoft, Google, Amazon and others mean for their businesses. CNET reported in December that Dell Inc. set up a business unit in early 2007 to figure out how best to sell servers to the 50 largest data centers in the world. According to CNET, that means much more consultation with Microsoft, for example, in the design phase of servers. In practical terms, it could mean that more of the servers on the market will be designed in advance for the data centers of huge customers like Microsoft and Google, and other buyers will have to fit their needs around those designs. In business terms, the major server OEMs and storage OEMs will face enormous price pressure from a few giant customers with infinite bargaining power, while also potentially suffering on overall server volume from the efficiencies of those data centers. Hosting companies may also struggle for attention in the market as Microsoft and the other giants really spin up their operations. The efficiencies of scale that the mega-data centers of Microsoft and Google enjoy could undermine hosters' business models, while the integration of cloud infrastructure with software expertise will be tough for straight hosting companies to compete with. Many of the changes and pressures on business models have been underway for a few years now, and each partner business model is sure to evolve to make the most of the opportunities that the addition of cloud computing presents. And, of course, Azure isn't guaranteed to be the platform that brings any of the changes to pass. "The huge caveat is, will they get it all right?" Sobel asks. "Microsoft was talking about all the developer activity that going to happen around Vista, and that didn't happen."